HIMSS19 is just days away — have you planned out your schedule yet? This is the leading health information and technology conference jam-packed with great sessions, events, and educational opportunities, so there are hundreds of things you could do, but what should you do? To help, we’re highlighting the must-see sessions and educational opportunities according to us. 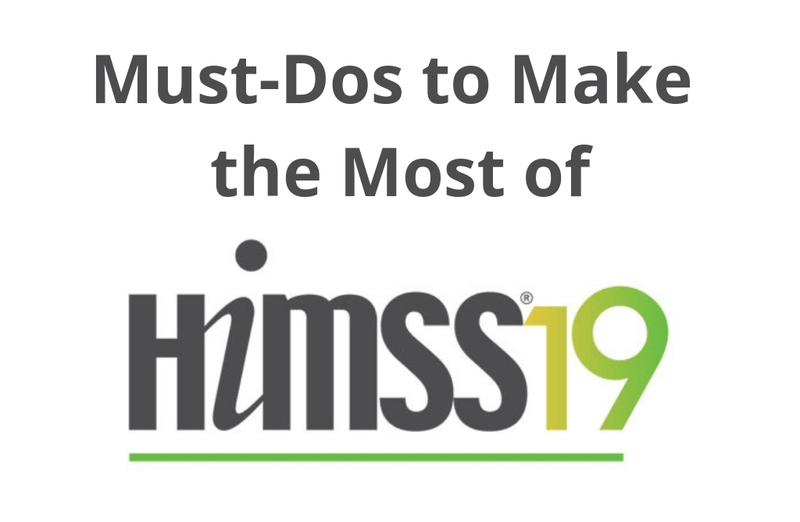 Regardless of whether you’re a first-timer or a seasoned vet, read on for our shortlist of everything you’ll want to hit while you’re in town to get the most out HIMSS. All times are in EST, local for Orlando. HIMSS CEO, Hal Wolf, will be joined by internationally-recognized leaders to discuss the impact that consumers and patients are having on policies and the market. With more pressure to get the right information to patients, caregivers, and providers, care coordination is being controlled by patients and their care team more than ever. Empowered consumers will be shaping the industry for years to come. Secretary of Health and Human Services (HHS), Alex Azar II, and Seema Verma of the Centers For Medicare and Medicaid Services (CMS) will cover the initiatives both agencies have been working on in regards to facilitating interoperability and greater patient engagement. They will also speak on other projects that are in the works aimed at transforming the healthcare system. Susan DeVore — named multiple times to Modern Healthcare’s 100 Most Influential People and Top 25 Women in Healthcare lists — will dive into how to keep ahead of changing times and outlast your competition. Humanitarian Mick Ebeling will speak to why he sticks to his mantra of “commit, then figure it out,” and how it helps solve problems that are initially seen as impossible. This is the last keynote of the week and is sure to get you extra motivated. Want to share your thoughts with us after the session? Book a meeting with us at HIMSS19! In this session, panelists will discuss how the modernization of technology is driving legacy systems to be upgraded with advanced health IT solutions. Also discussed will be the role of federal and state governments in the push towards these modern technologies, along with population health outcomes as a result. Leaders from Advocate Aurora Health — which has over a million attributed value-based patients — will dive into how they ensure that the right care is targeted to the right needs of each patient through predictive analytics. In addition to predictive analytics, Advocate Aurora Health is focusing on educating patients in order to enhance their ability to self-manage their conditions — improving population health and decreasing readmissions. All of the sessions at HIMSS are extremely educational, but the conference also has quick 20-minute sessions specifically focused on learning. These sessions follow a format dubbed SPARK – Session Providing Actionable & Rapid Knowledge. This year there are 24 educational topics. Here are a few that caught our eye and their description from HIMSS. Discover how to overcome problems that drive poor health in populations and how to better support public health and wellness. Discover how to reimagine your supply chain strategy with a comprehensive view of the intersection of cost, quality, and outcomes. Health and well-being, opioid addiction, and many other critical issues in our society are bringing demanding challenges to today’s healthcare ecosystem. Examine how these issues are shaping the very way we understand health and care delivery now and in the future. Explore care models that better integrate technology with social and medical services for the baby boomer generation. HIMSS is a fantastic conference with so many opportunities to learn, network, and have a great time. Be sure to take furious notes because you won’t want to forget the valuable lesson taught here — we know we will be! Also, look out for our post-conference blogs breaking down some of the key sessions and sharing our insights. Be sure to visit us at HIMSS19! We’ll be at booth #888 and kiosk #64. Stop by to learn how our innovative platform can help with your care management needs! Schedule a meeting with us here.